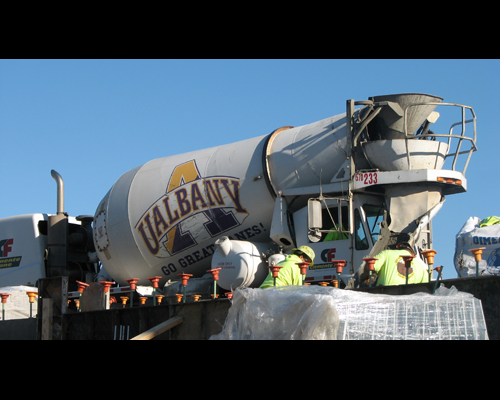 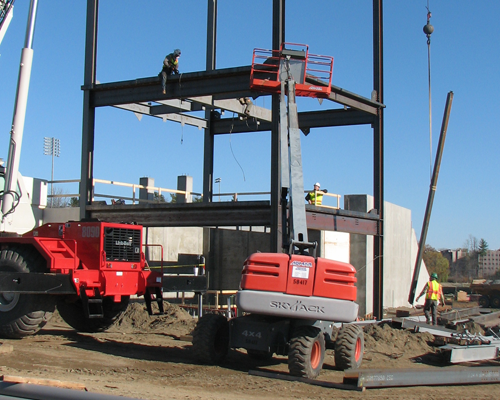 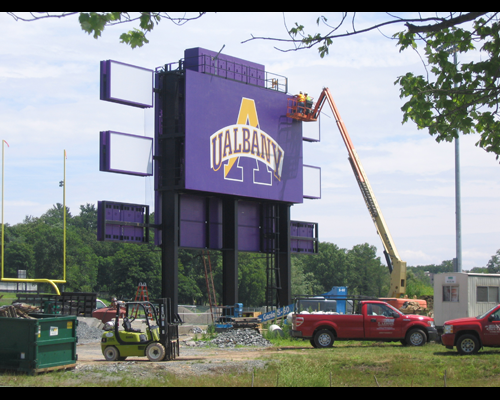 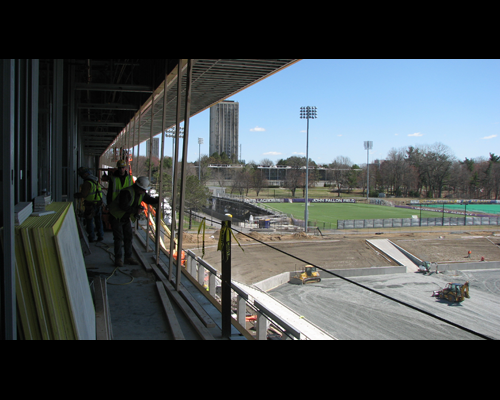 The UAlbany Athletics and Recreation Master Plan, developed in 2004, provided a design and planning framework for the University to implement repairs and upgrades to the University’s athletic and recreational facilities over the next 10 to 15 years. 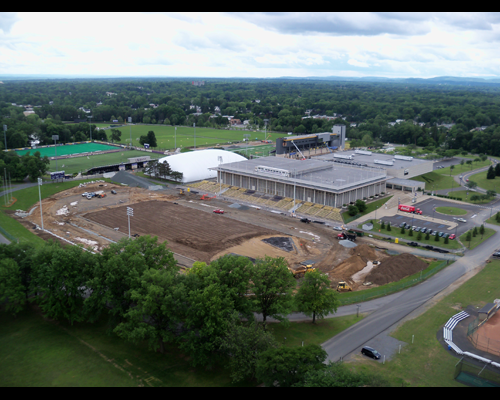 This plan generally defined site and building improvements and identified new and upgraded athletic and recreation facilities within the existing campus fabric. 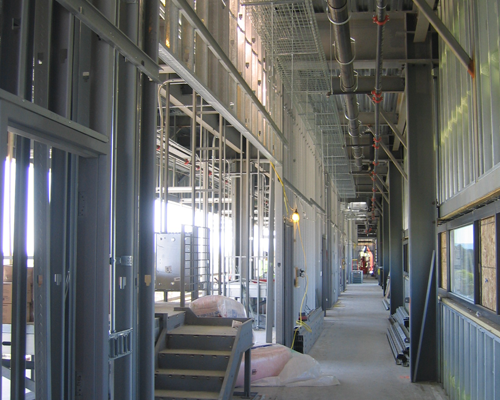 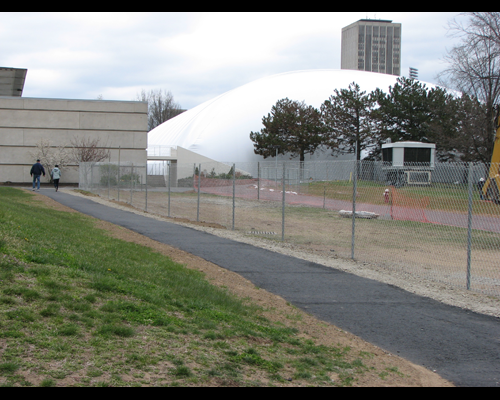 In 2009, with this plan as the framework, the University studied several concepts and phasing options to address high priority near-term repair and upgrade needs to its track and football facilities, which are co-located and in serious disrepair. 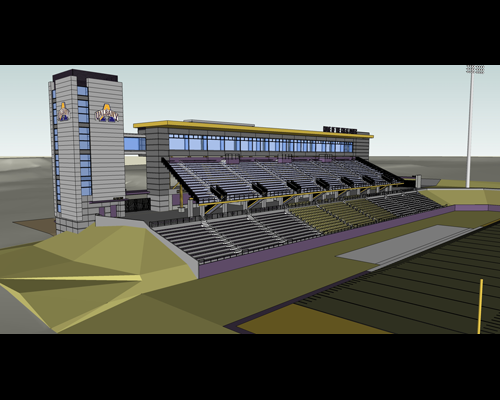 The project herein is the result of this additional analysis. 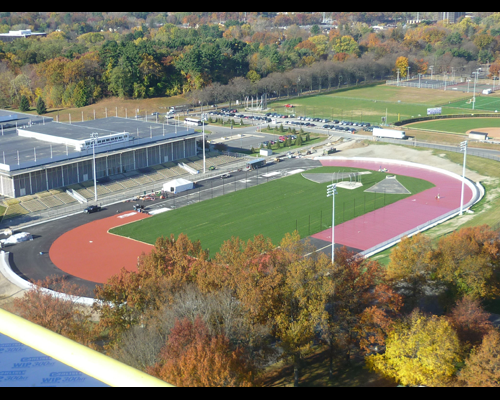 Track Repairs and Upgrades — A repaired and upgraded track and field venue will include a 9-lane synthetic surface track with 9-lane sprint straights at 48 inch widths. 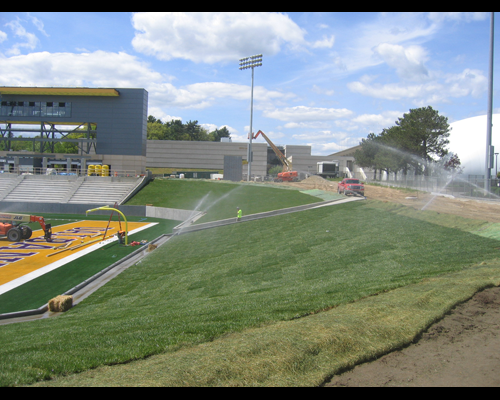 Associated throwing events will occur within the oval on a natural turf surface with repaired and upgraded lighting. 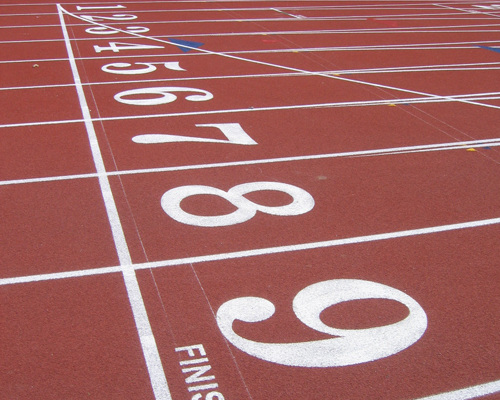 Provisions for scoring, timing, equipment and meet management systems are included. 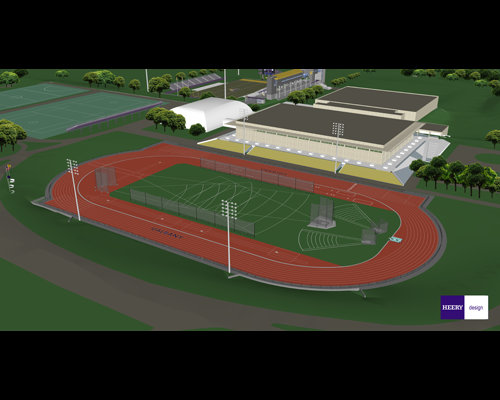 The track will be located in its current site on the Uptown Campus and when not in use for competitions, will be available for casual and recreational use. 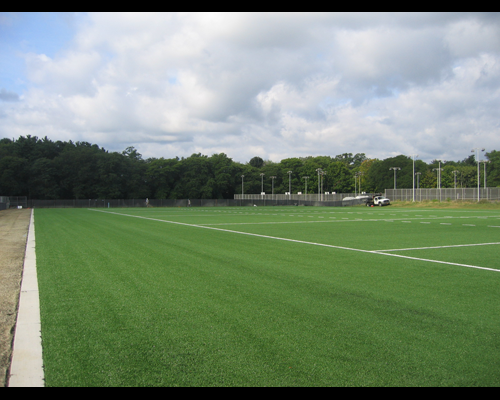 Recreational Turf Field — While a co-located recreational turf field &dash; within the oval of the track or on the site of the multi-use athletic facility &dash; was considered, such an arrangement would not be viable given the need for track/field events to have natural surfaces and given the need to provide extended season priority use for student recreational, intramural, and club sport activities. 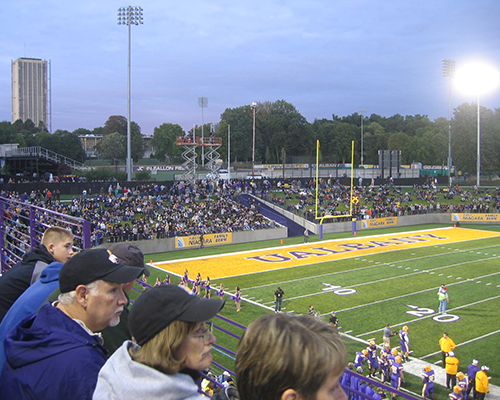 The Uptown Campus is essentially an urban campus and has few open, well-graded fields for such recreation. 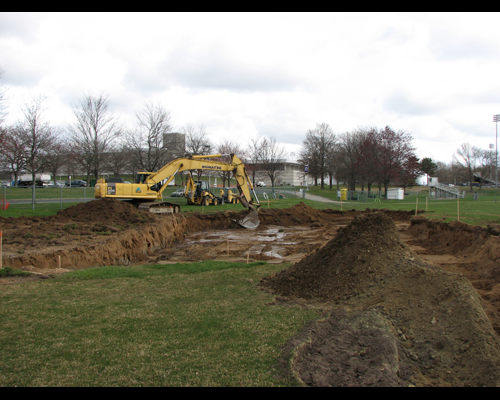 Accordingly, a synthetic turf field with new field lighting and fencing will be constructed east of the tennis courts, south of Dutch Quad for extended season use. 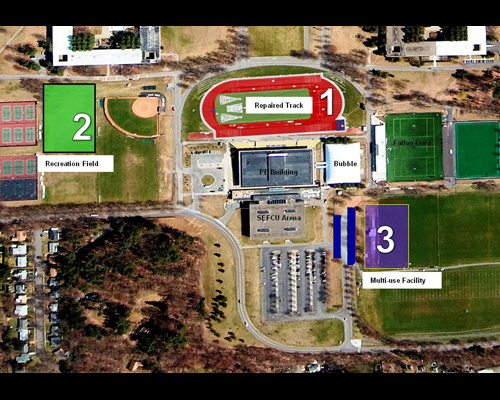 Multi-Use Athletics Facility — Varsity football will be relocated to a new multi-purpose facility to be located south of the Bubble, east of the SEFCU Arena. 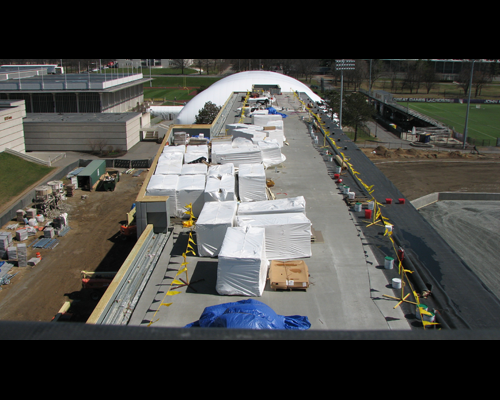 Once relocated, the track work can proceed. 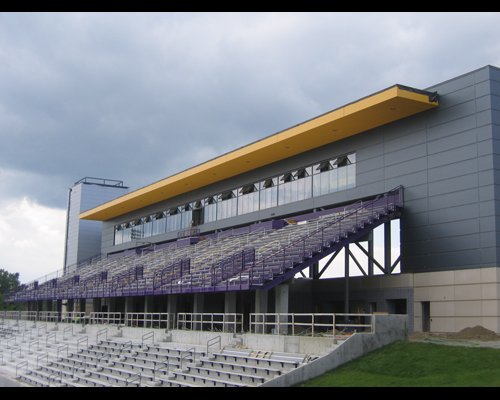 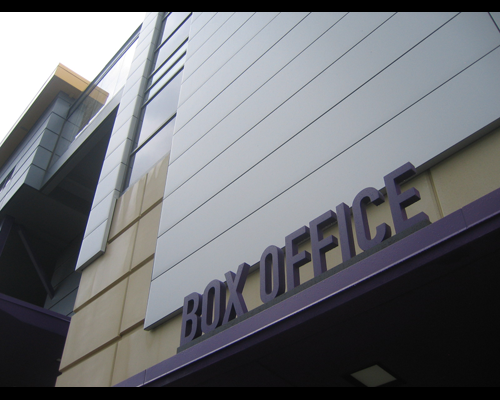 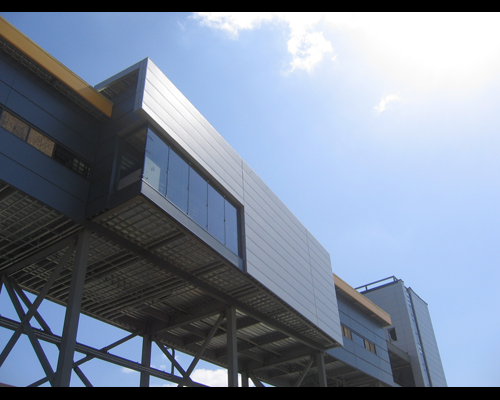 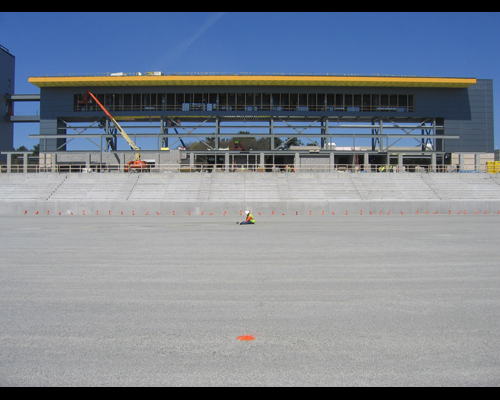 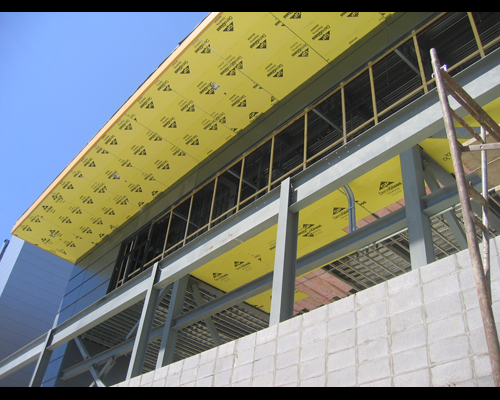 The modest facility is intended to provide seating for approximately 6,000 spectators. 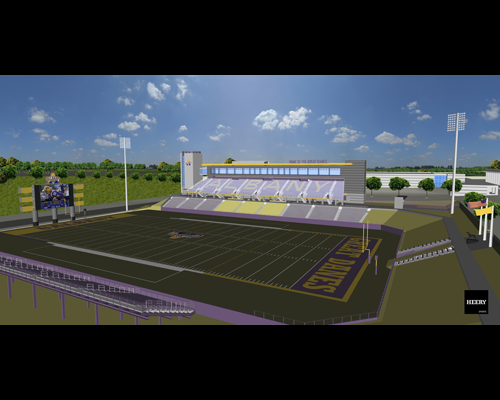 It will include a synthetic turf field that can accommodate both football and soccer and can hold other community and University events. 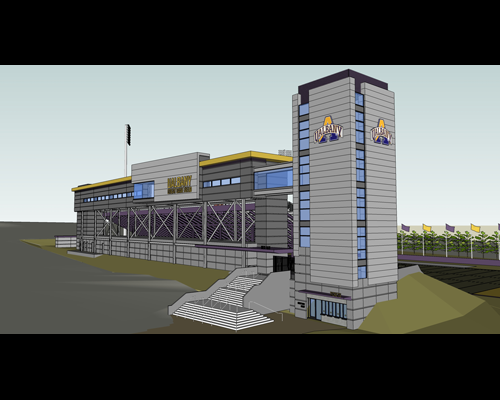 The facility will also include other code- and competition-required features, such as a press booth, toilets and concessions, lighting, and audio-visual components. 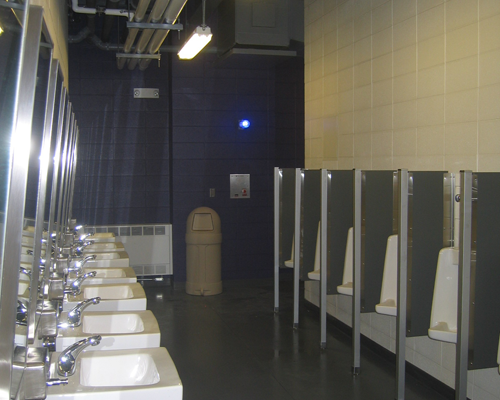 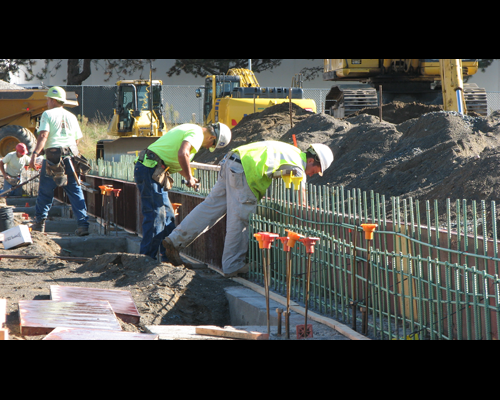 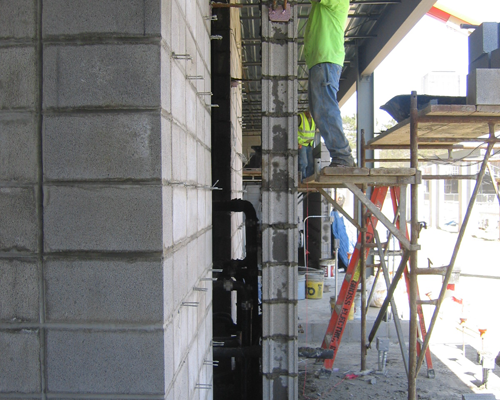 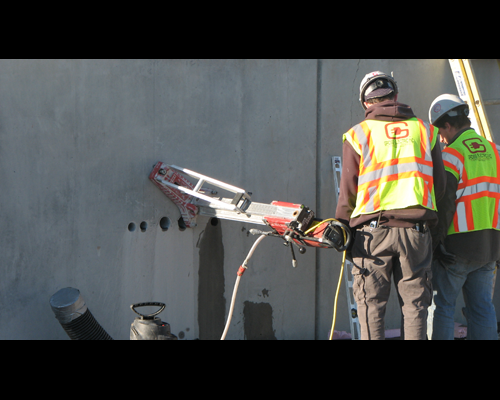 All components of the facility will be ADA compliant unlike the existing facilities. 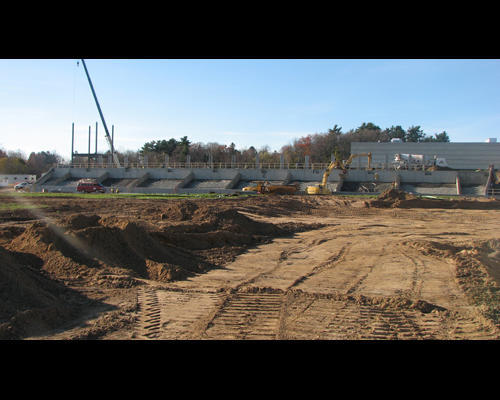 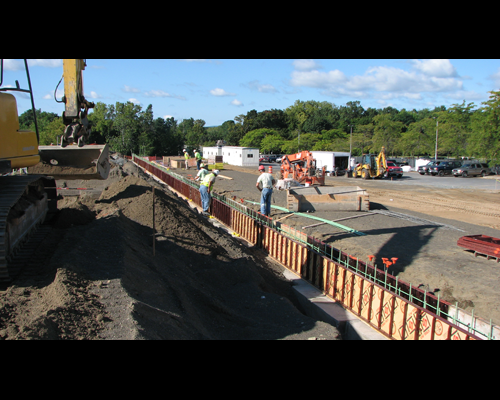 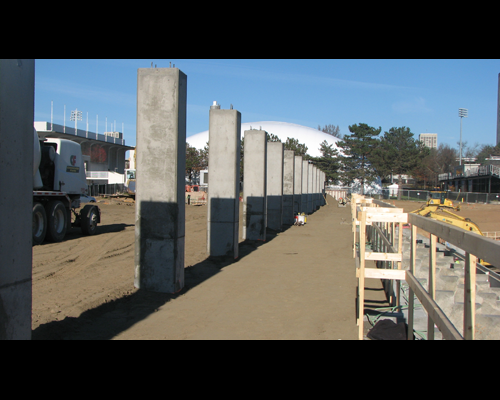 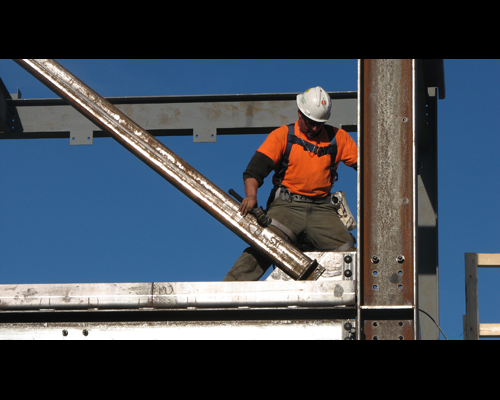 The multi-use athletic facility will be constructed to be expandable at some unknown time in the future without necessitating demolition of components constructed at this time. 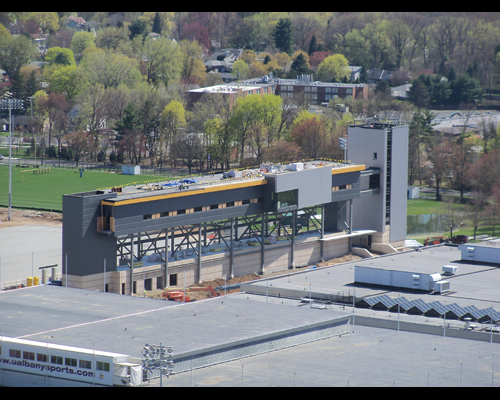 The facility includes a distinctive press level with four suites, a spacious lounge area for events or meetings, radio and television broadcast operation facilities, coach’s spaces and areas for game-day support operations. 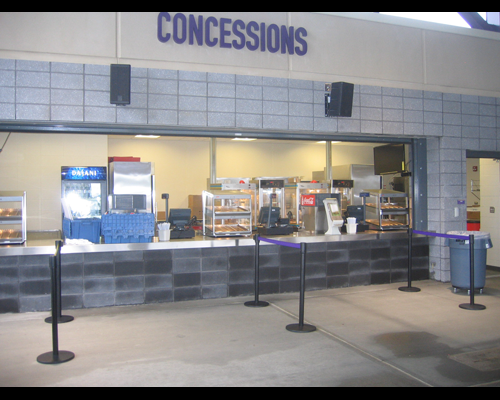 The concourse level includes two concession areas, a team merchandise area, and spectator support facilities; and a high-definition Daktronics scoreboard with 39’x22’ high-definition video display and point-source sound system is located behind the south end zone. 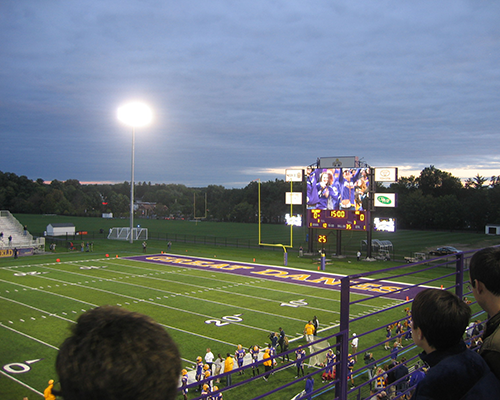 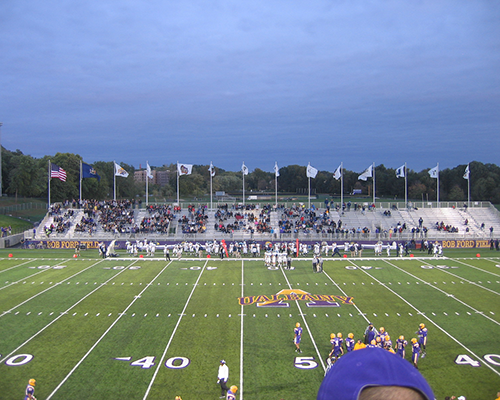 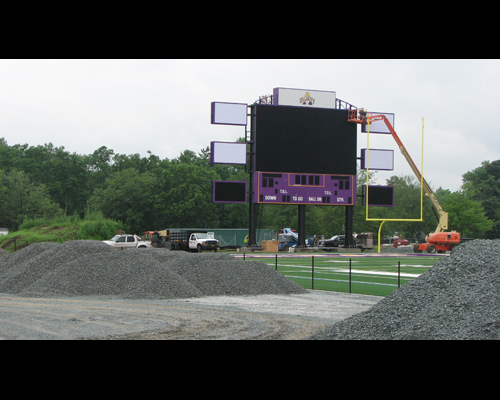 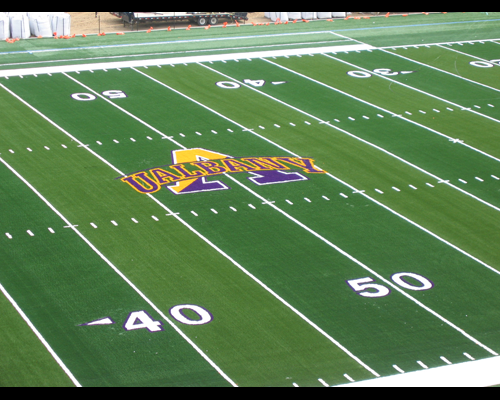 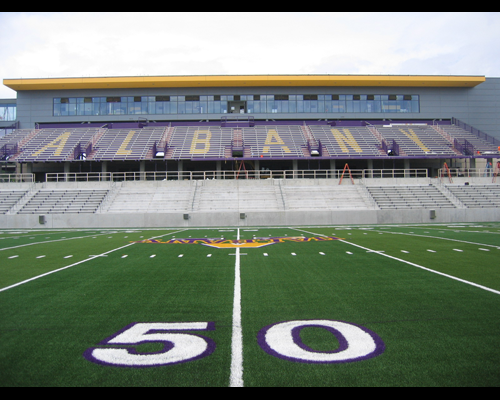 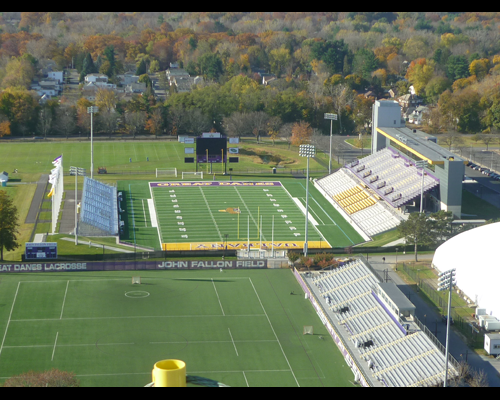 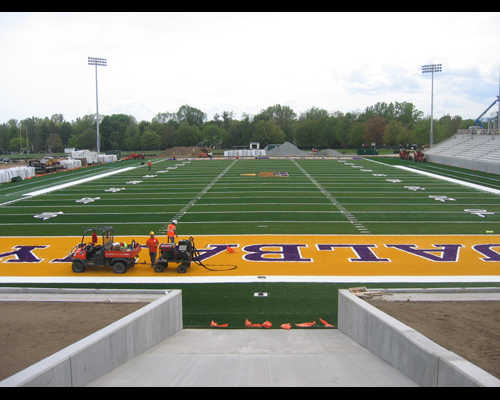 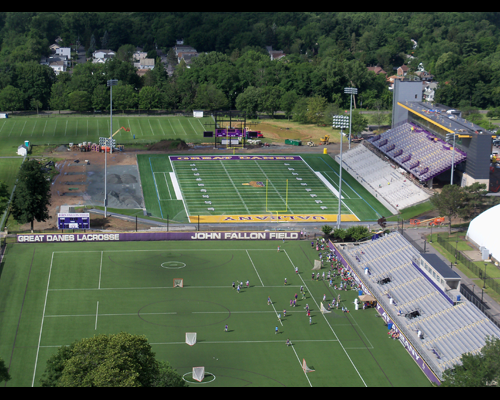 The playing field was named in honor of Bob Ford, the retired 43 season head coach of the Albany Great Danes football team. 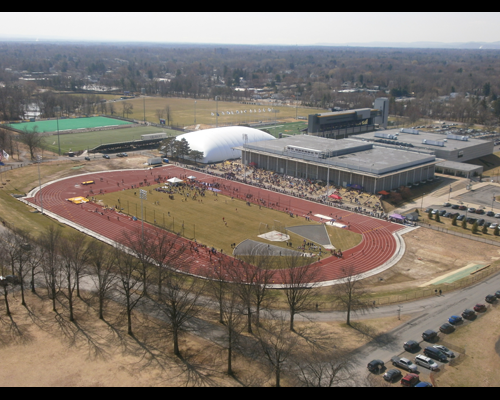 The new Track & Field venue at the former University Field reached final completion in April 2014 allowing the University to host the “Dogfight” against UConn on April 5th. 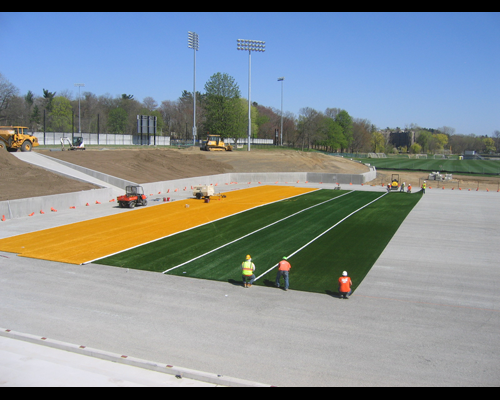 While only the installation of the track material was completed before winter conditions prevailed back in the fall of 2013, the final step would be the completion of the striping and marking of the surface which did not take place until this spring. 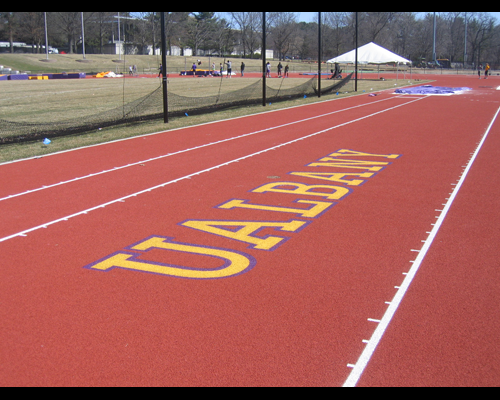 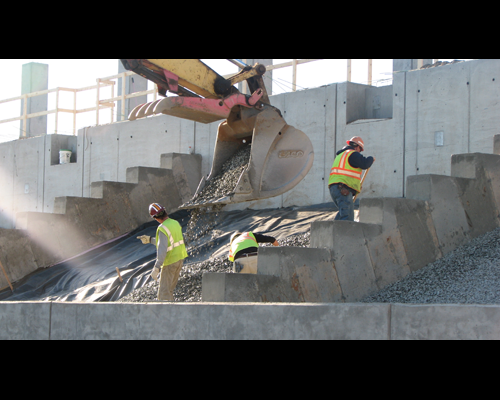 This work required moderate temperatures and dry conditions for several consecutive days to allow for the coating system to properly adhere to the track surface. 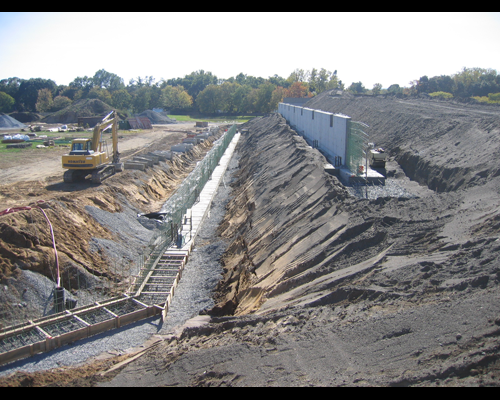 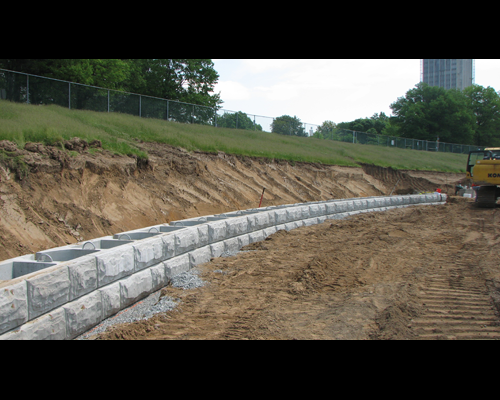 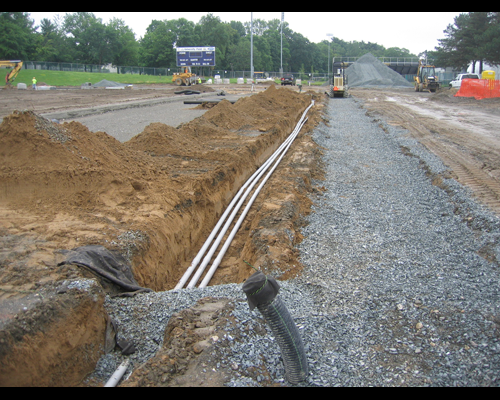 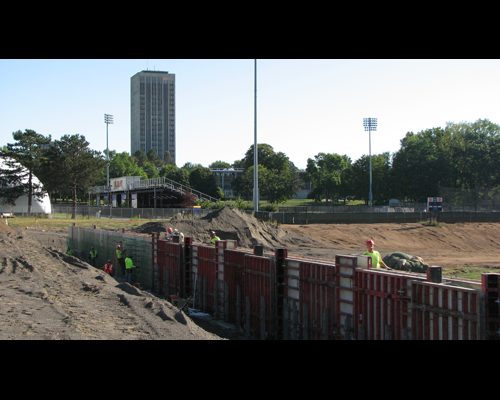 All other site work was completed last fall including retaining walls, drainage and retention basins, natural turf infield w/irrigation and fencing at the venue. 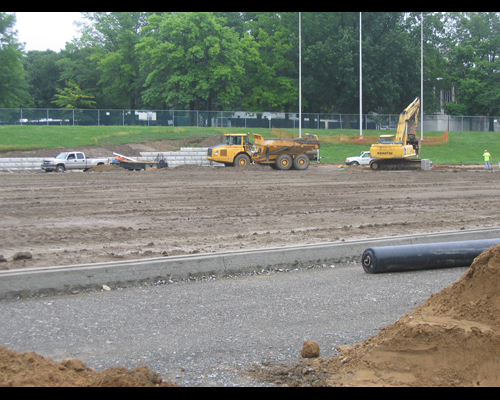 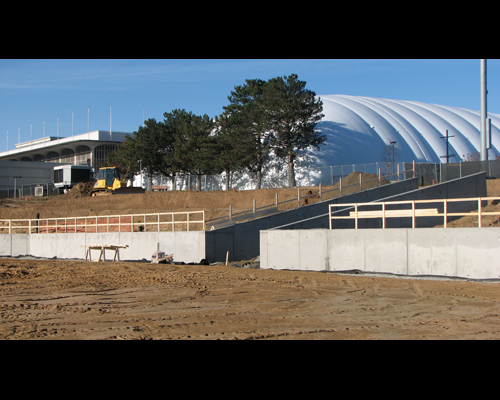 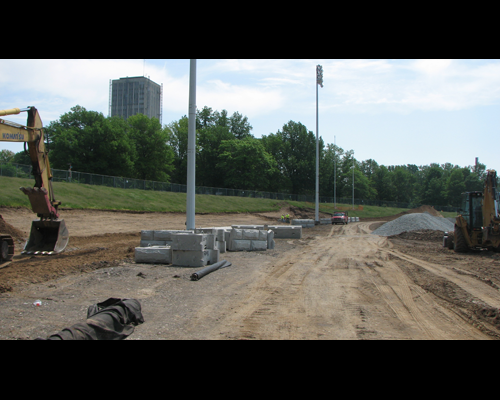 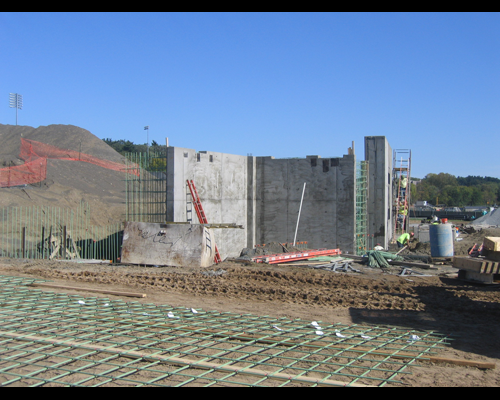 The nearby hammer throw facility south of the existing softball field was completed last fall.